Perfume is such a personal thing isn't it? There is no way I would let anyone buy me a perfume without me asking for it first. Please tell me I'm not the only one? That being said, I have quite a few favourites I want to share with you in this post. This scent is timeless and girly. I kind of feel like Elie Saab perfumes are a little bit overlooked. I mean, you never really see them featured on any blog posts or recommended by any other bloggers, which I find really strange! Personally, I love both the scents I own. They are floral, yet understated. They are also very clean and not suffocating, if you get me? This is my newest perfume. I feel like my perfume choice is really evolving. Could it be that I am just getting old? Probably! Gone are the citrussy, fresh perfumes that I loved and replacing them are more heavier, floral scents. Odd, huh? However, I can confirm that after only a months worth of use this is definitely a firm favourite that's here to stay. As the biggest Peony and Blush Suede ambassador going it took a lot not to repurchase that scent and try something new. And honestly? I didn't love Pomegranate Noir right off the bat. It took me a couple of tries before I decided that this scent was for me. I love its heavy, layered scent, there is literally nothing out there that smells the same, and it really lasts too. I have been wearing YSL Black Opium for a few years now, in fact this is my 2nd or 3rd bottle, and even to this day I still get complimented on it. It's a classic and will always be one of my favourites. 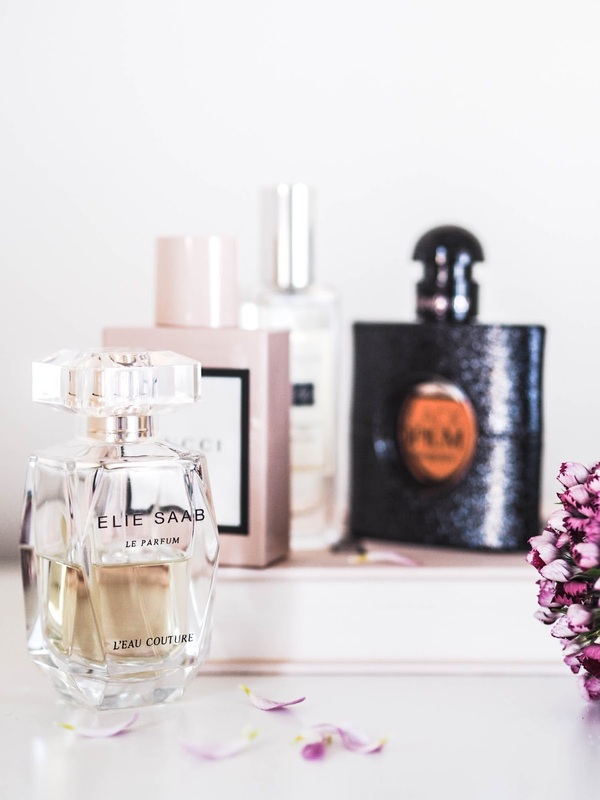 What are your all time favourite scents?